People now more then ever before are looking for tools at a great price. They want to be able to finish those jobs at home without paying someone to do the job for them, but they might not have the proper tools. 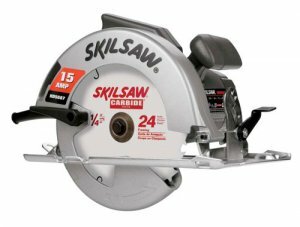 Skil has a new 7-1/4 inch circular saw out that might be just what you are looking for. The new HD5687 from Skilsaw has a good bit of power at 15 amps, a nice long 8-foot cord, and weights in at only 10.8 pounds.